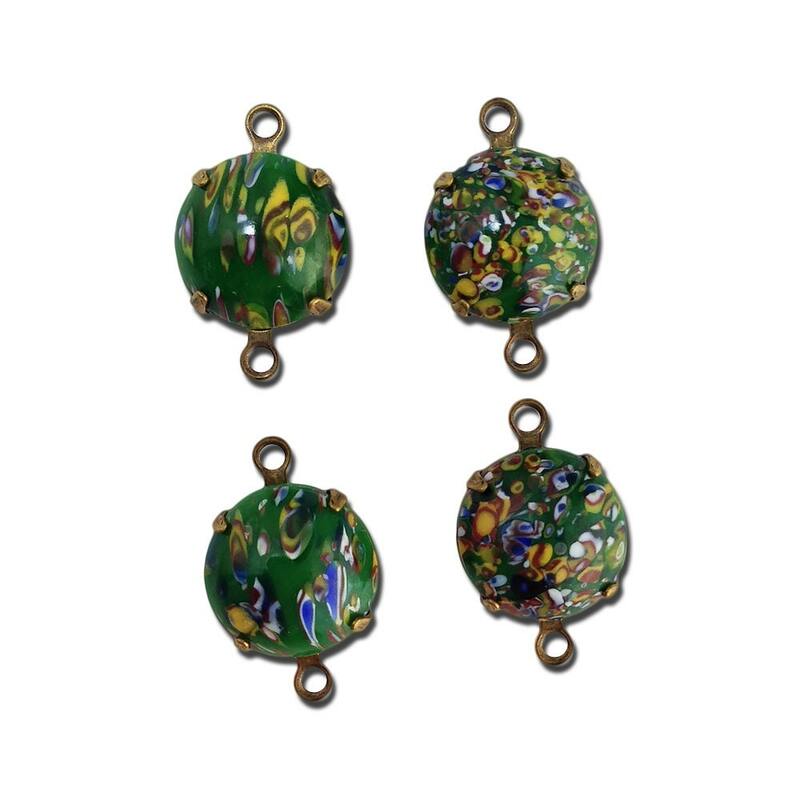 Color: Green Millefiori, Brass Ox. Additional Information: The second picture shows these in a silver setting. The color of the stone in the second picture is closer to the actual color. Beautiful stones, perfect for vintage jewelry replacements.